Just how smart is the new Smart Collector from Oneida Air Systems? 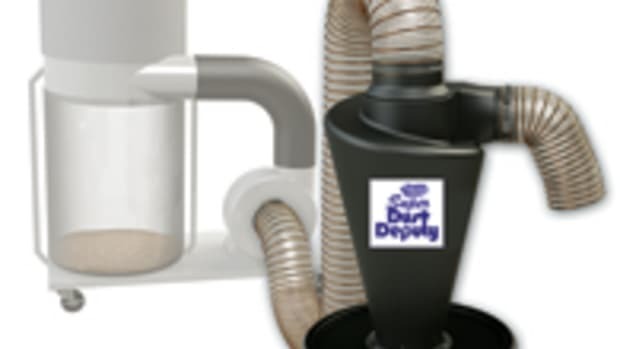 Well, the stand-alone dust collector has what the company describes as an infinitely variable fan curve that can automatically adjust and maximize air volume and suction to a wide range of tools, hose sizes and undersized suction ports. 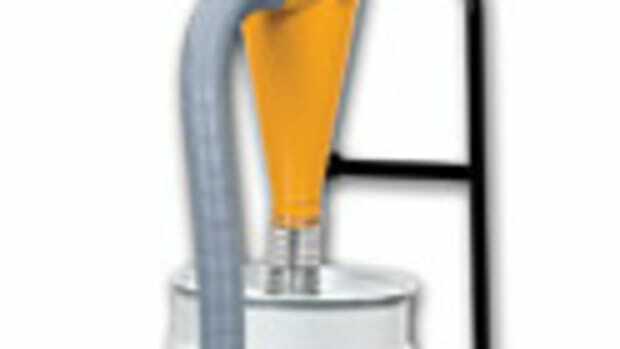 "It will give you high volume at a low pressure, and high pressure at a lower volume. It works on the demand - as you restrict the inlet or increase the load, it will respond," says Oneida president Robert Witter. 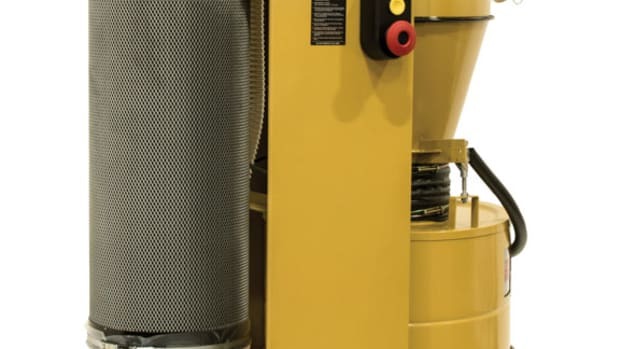 "This particular machine has about three times the pressure of a typical stand-alone machine and is able to pull more air through smaller areas or flex hose or tight fixtures." The Smart Collector was a finalist for the Challengers Award at IWF 2010. 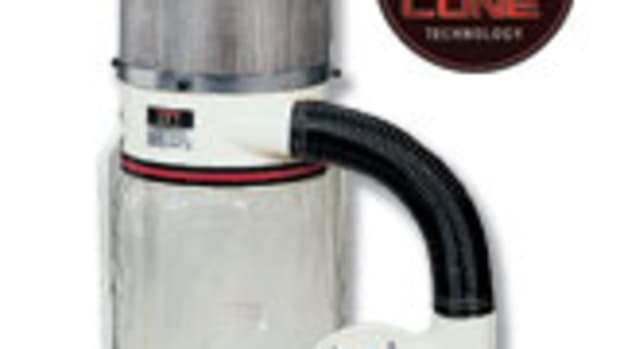 The idea behind the machine is the current demand in the woodworking industry for portable collection with more pressure capability than a standard fixed RPM fan blower. 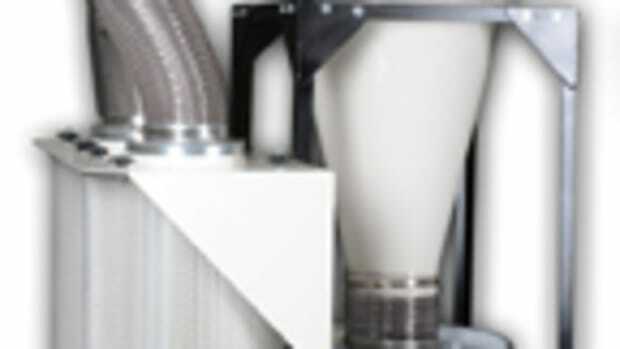 What drives that demand is attributed to the increasing numbers of automated machines and CNC routers, or any woodworking tool which requires better dust collection with higher static pressure to work effectively, according to Witter. "Dust is hard to collect to begin with. It runs through lots of internal passageways in a tool that causes the need for more pressure capability to overcome air friction in the system. A router, for example, typically has a restricted, smaller port. 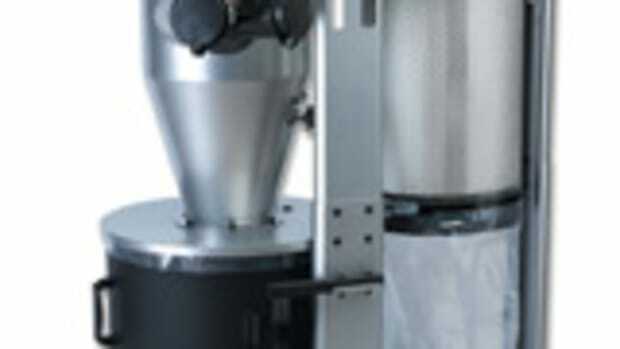 The pressure of a shop vacuum would be ideal, but a shop vacuum doesn&apos;t have enough air flow." 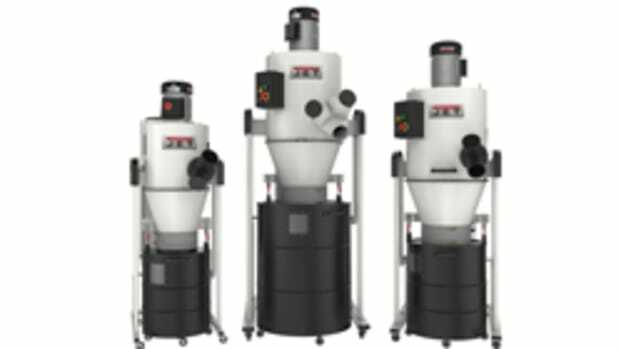 For machines with 4" to 6" dust ports, the Smart Collector provides up to twice the air volume and pressure of a standard dust collector. 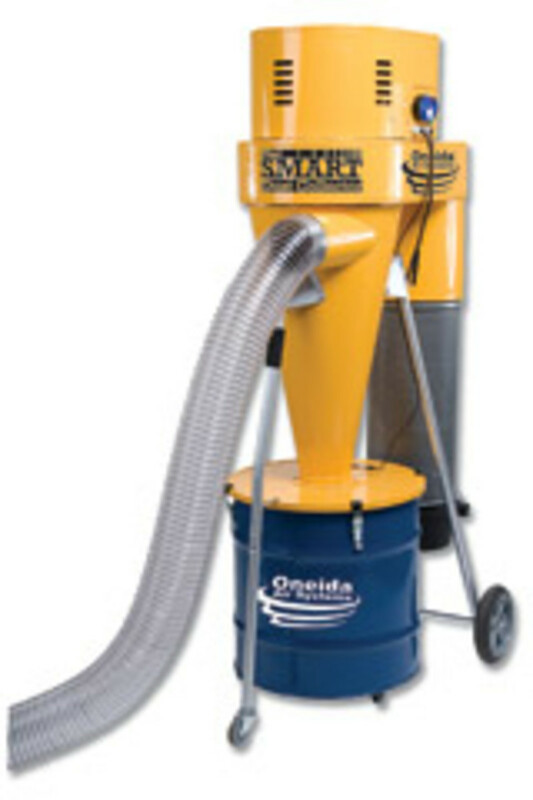 For tools with 1" to 3" diameter dust ports, the air volume and pressure is up to three to four times higher than that of a standard dust collector, according to Oneida. The result is more air at the tool and much less fugitive dust escaping to the shop air. 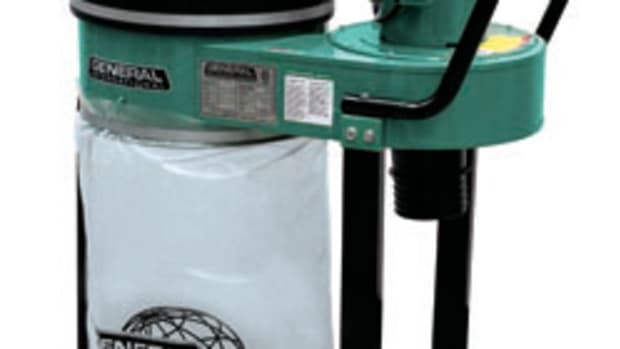 Oneida says the Smart Collector&apos;s separates 99 percent of the waste with a high-efficiency cyclone and clean air is returned to the shop through a General Electric H12 certified HEPA filter media, rated at 99.97 percent efficiency. The Smart Collector is a compact unit, measuring 77" high and 48" wide. It has a 35-gallon waste collection drum with castors. The entire unit can be wheeled around the shop. 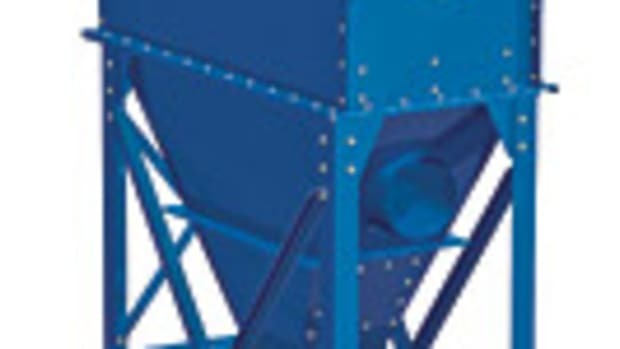 It also features a patent-pending flame guard arrestor to comply with anticipated OSHA requirements, bin level indicator and remote control. The Smart Collector, with a 3-hp motor, sells for $2,360. A 2-hp model sells for $1,987.